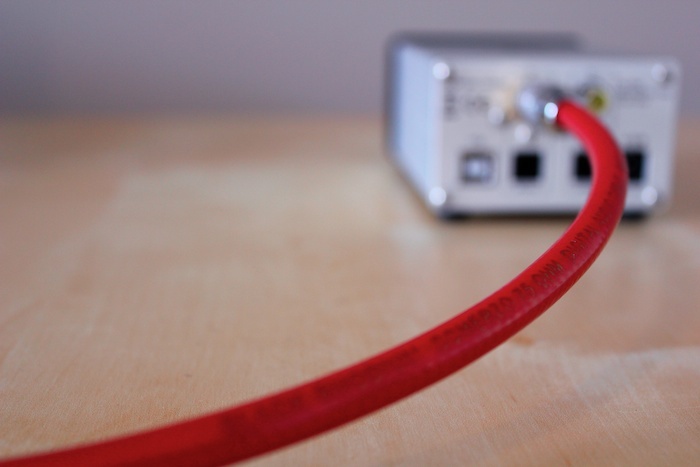 Ah, jitter – the elusive enemy of digital audiophiles. In somewhat over-simplified terms, jitter refers to the timing errors by which the ones and zeroes arrive at your DAC, the audible affects of which could result in a woolly bass, confusing sound-staging or rolled-off treble. As the saying goes, your mileage may vary. Many of today’s higher-end DACs feature on-board jitter correction – in essence, the digital signal is re-clocked. But what to do if your DAC doesn’t feature such progressive technology? 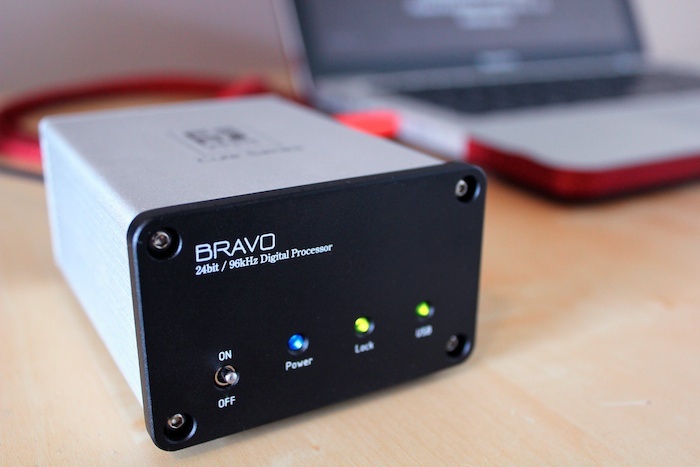 Enter the the Firestone Bravo (RRP $199) – a ‘digital processor’ that sits between your transport (Squeezebox, Sonos or computer) and re-clocks the digital data prior to being sent to the DAC. Theoretically, it eliminates/reduces jitter. 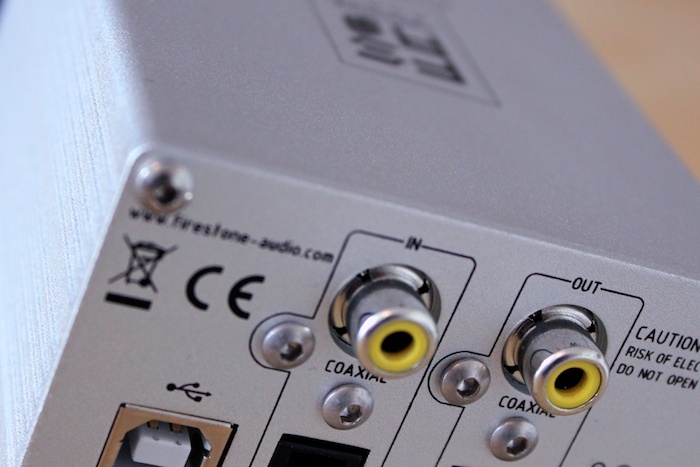 Much like the jitter-blasting M2Tech Hiface, the Firestone Bravo is capable of extracting 24-bit audio via USB, but it aces the Hiface with its additional SPDIF (both coaxial and optical) inputs. 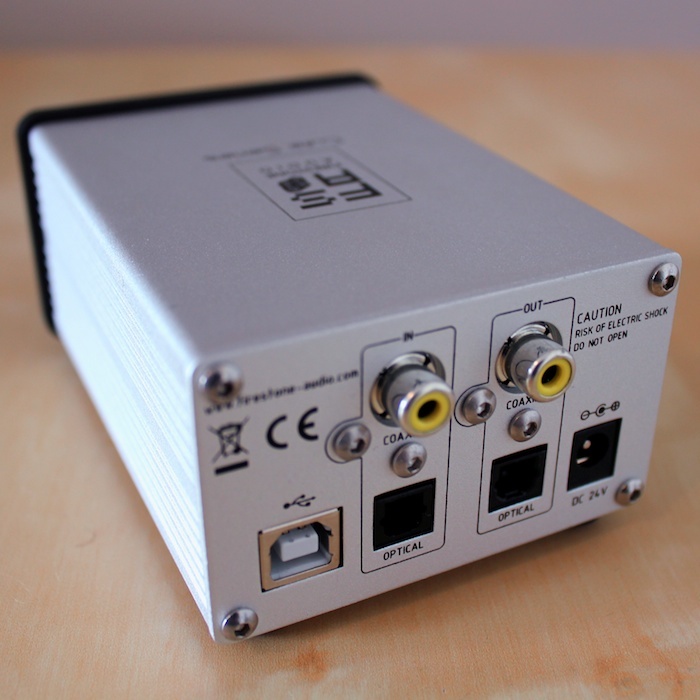 Connecting the USB to a source will override the optical input, which in turn takes priority over the coaxial input. 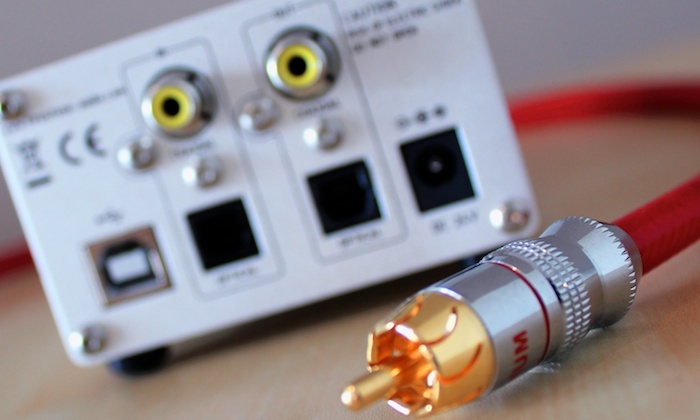 Outputs are limited to coaxial and optical. The fascia of the Bravo is a simple affair. You have a choice of black or silver. It sports a blue LED to indicate that all is well with power supply (a switching module), a green LED to indicate that a digital signal is locked and loaded, another greed LED that confirms USB connection and simple on/off toggle switch. Neither LEDs possesses the retina-boiling, laser-like quality of many of the budget hifi products emanating from the factories of Taiwan and China. If need be, the Bravo can be hidden away out of sight but the aesthetics of the Bravo/Spitfire partnering are also worthy of praise. Both units are of the same matchbox-like dimensions and assume more of a system-like stance when house in the Firestone Audio Fire-Rock Rack System (RRP $109); which comprises four solid steel pillars and three, thinner steel plates between which the Bravo and Spitfire are snugly sandwiched. Although many might baulk at spending big on the Fire-Rock rack system, its modular design – it can be extended vertically as more Firestone “Cute Series” components are added – might appeal to those for whom aesthetics take precedence over staying within budget. 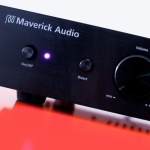 When connected upstream of an MHDT Paradisea DAC, the Bravo injected the soundstage with a healthy and generous dose of air – skepticism be gone! When considering the soundstage spectrum as three vertical subdivisions: bass, mids and treble the Bravo injects small and subtle improvements into each. The most pronounced of which is in the top end. 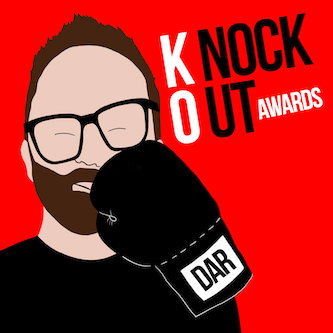 More impressive was what the Bravo achieved with soundstage organisation. The soundstage took on a greater sense of cohesion with each instrument occupying a better defined location between the speakers. Soundstage height was also lifted a little. Nothing that was oh-my-word dramatic, but an improvement nonetheless. Predictably, when called in for a tour of duty to liaise between a Squeezebox and a Bel Canto DAC3, the improvements were considerably less palpable, maybe even non-existent. After all, the DAC3 already possesses excellent jitter-reduction circuits. 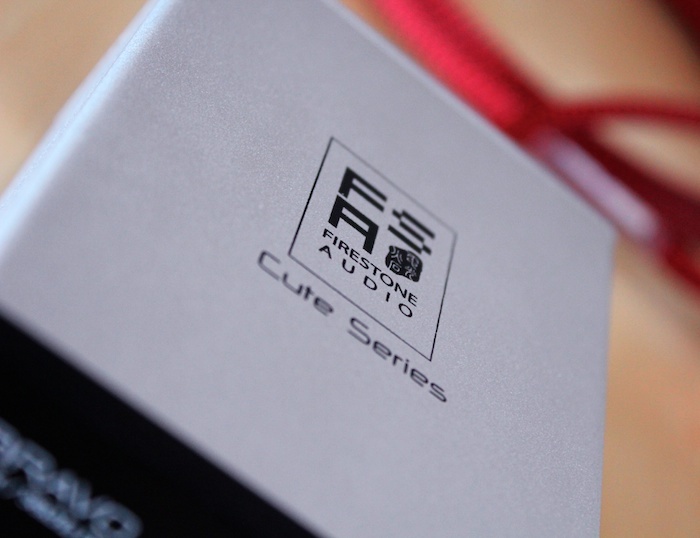 But this Firestone box o’ tricks is not for owners of a $3000+ reference DAC. 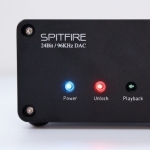 It is for those with more modest budgets looking for a cheap upgrade to an existing budget DAC. Think MHDT, Maverick, Valab, Keces, Lite, AudioGd models priced south of $1000. Owners of the aforementioned DAC brands make you Firestone’s target market with its Bravo digital re-clocking unit. 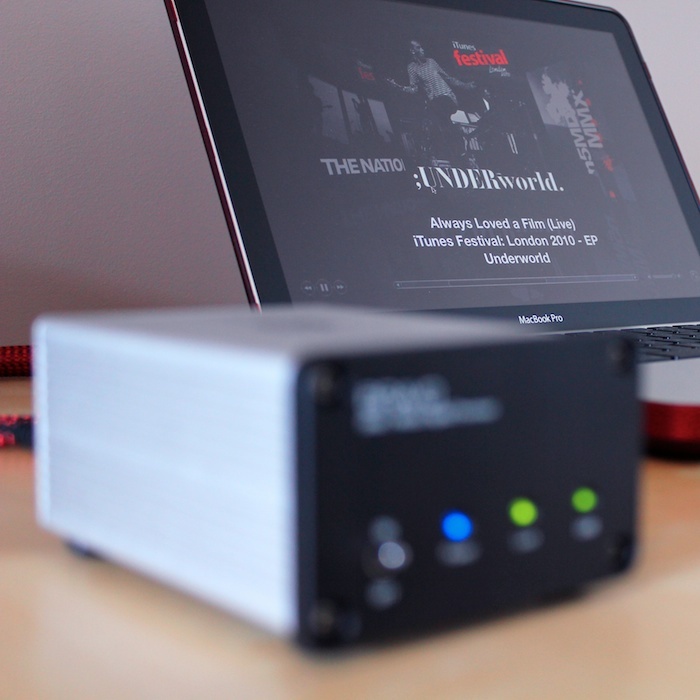 Think of the Firestone Bravo as a M2Tech Hiface for audiophiles who not only run audio out of their PC/Macs, but access the majority of their music via Squeezeboxen or Sonos. 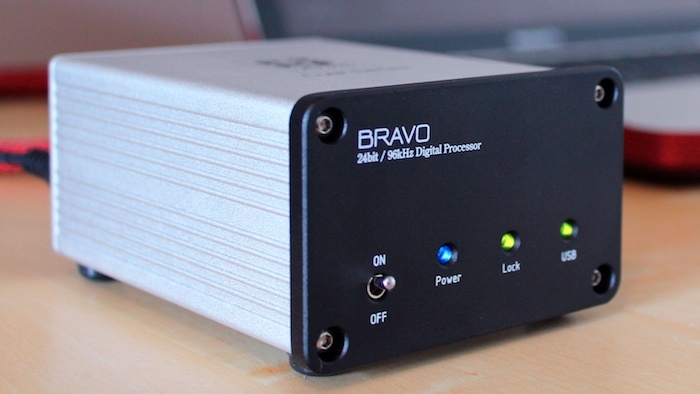 The Bravo is an inexpensive way of upgrading the sound of most budget DACs; but buyers should note that they will also require an additional digital cable, either optical or coaxial. This lifts the Bravo’s associated financial burden by a bare minimum of a further $50. 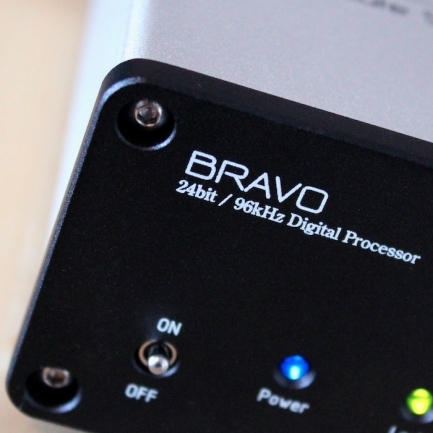 The irony being that the Bravo brings a lift in sound quality that would best nearly all cable upgrades of similar dollar outlay. As a budget-sensitive upgrade, the Firestone Bravo comes highly recommended. Try it with a DIY Belden H-121 cable and Rean NYS352 connectors and You will surprised or not ! ?